Multi functional featuring ratcheted headrests.Large storage compartment. Nobuck classic fabric; 100% polyester.Wood frame, s springs, pocket coil construction. 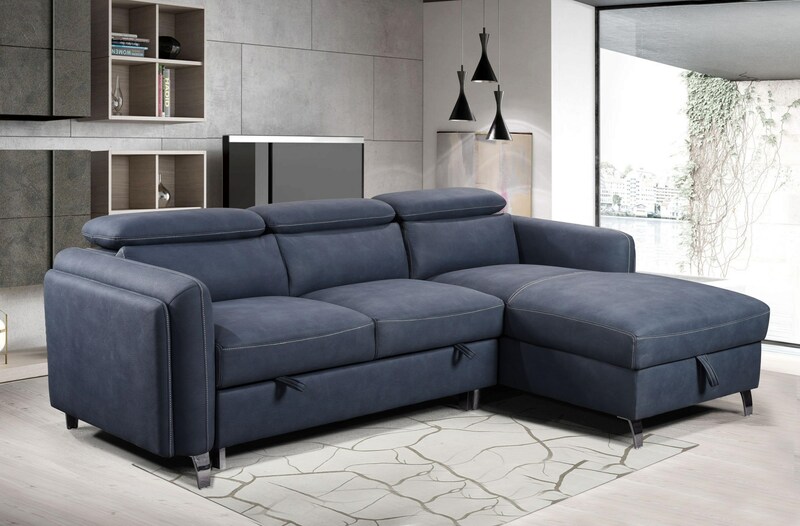 The Avery Sectional by Amalfi Home Furniture at Red Knot in the Oahu, Honolulu, Kapolei, Pearlridge, Salt Lake, Hawaii area. Product availability may vary. Contact us for the most current availability on this product. Sleeper Mechanism Pop up bed.